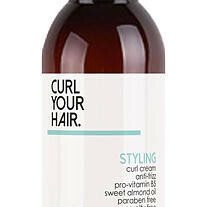 From Victoria-based luxury hair care brand; an indulgent and moisturising cream for those with curls and waves. Gaining a big tick of approval for being fit for styling, providing intense hydration and with a sweet lingering scent, there seems to be little reason to not like this product. Perhaps our very favourite feature is its ability to smooth and tame frizz, while leaving a subtle shine.